Tallahassee, FL: N. Thomasville Rd. 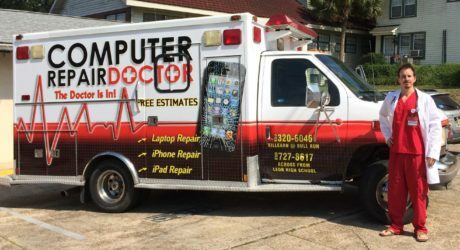 - Select -Store HomeServicesiPad RepairiPhone RepairLaptop RepairDesktop RepairMac RepairSmartphone RepairDirections/MapFree EstimateLocations - Charleston, SC - Cleveland, OH - Davie, FL - Monroe, LA - Raleigh, NC - Tallahassee, FL - Tallahassee, FL: N. Thomasville Rd. Unfortunately we've relocated our Winter Park store to Knightdale, NC and are no longer able to fix your devices in the Winter Park area. We're sorry for any inconvenience caused by this. Price Match - If you find better prices, we'll match it. Guaranteed. *In fairness to our competitors, we try to update this page regularly and list our competitors advertised iPhone screen repair prices from their site. We can't guarantee this information is 100% correct since our competitors don't often notify us when they update their prices. Prices are for glass only. *In fairness to our competitors, we try to update this page regularly and list our competitors advertised iPhone screen repair prices from their site. We can't guarantee this information is 100% correct since our competitors don't often notify us when they update their prices. iPhone Screen Repair is the most requested service on the iPhone. Not surprisingly, your iPhone Glass Screen is very susceptible to cracks and damage, and that’s where we come in! 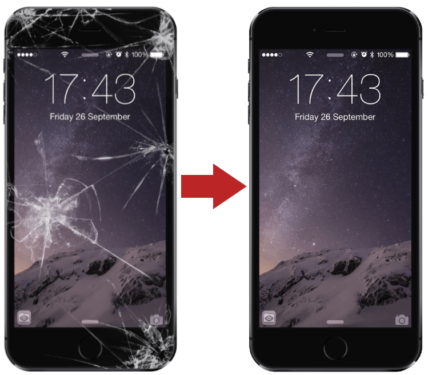 iPhone screen repair is a service our trained and expert techs are experienced with, because of the sheer volume of iPhone Screen Repairs we perform in Winter Park. We typically offer these repairs in under an hour so that you can get on with your day. Feel free to wait in our lobby during the repair, or grab a bite to eat and come back! *Timeframes can vary based on store workload. What kind of iPhone parts do you use? The best available! People often ask if we buy OEM parts or if we buy parts from Apple, etc. Apple doesn’t sell parts, but the parts we buy are often manufactured by the same factories Apple uses. In short, we have a Parts Management team that’s always sourcing the highest quality parts at the best possible price. What if something else is broken on my phone too? We can fix that too! If you’re getting more than one component replaced on your phone, we offer steep discounts for multiple services. Just ask a staff member for pricing! What happens if you can’t fix it? If we can’t fix it, you don’t pay. It’s that simple! What can go wrong during an iPhone Repair? And how likely is a problem? Anytime someone is disassembling your phone, things can go wrong. Compared to the industry standard, we have a very low rate of issues though. After a repair, there can be issues with a non-responsive touchscreen, front camera failures, or touch ID problems. If there are any problems after a repair that weren’t there before the repair, we’ll take responsibility and replace the non-functional part. What about the Touch ID? Will this function after an iPhone repair? The Touch ID will usually work fine after an iPhone Screen Repair, however there are cases where a touch ID is non-functional after a repair. Unfortunately if a Touch ID breaks, it often can’t be fixed. Apple has put roadblocks in place specifically designed to disallow third party companies from fixing a broken Touch ID. Why did they do this? Great question. 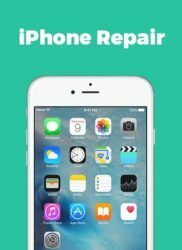 How long does an iPhone Screen Repair take? A typical iPhone Screen Repair takes about 45 minutes! Timeframes can vary based on store workload, etc. so if you’re in a rush – call ahead to verify timeframes. Give me worst case scenario – What happens if you break my device? We’ll take care of you, pure and simple. If any of our technicians break something during the repair, we’ll take complete responsibility and fix the problem or buy you a replacement device. Does an iPhone Screen Repair void my Apple warranty? Nope. Apple has said that getting your screen repaired at a third party company (like ours) will NOT void your warranty with Apple. Do you have iPhone parts in stock? Yes we do! We typically stock all iPhone Screens and almost all iPhone small parts (component parts like cameras, buttons, etc.) so that your repair can be done quickly. Absolutely. We offer 90 day warranties on all of our standard repairs (if we have to buy custom parts, those parts may have a different warranty period). If anything goes wrong after 90 days, it’s unlikely to be due to our repair but you’re welcome to bring it by anyway. We’re usually able to help, especially if it was related to the repair we performed. Do I need to backup my data before coming in? It’s ALWAYS a good idea to backup your data before a repair (and we suggest you do). Even Apple advises backing up your data before any repair. However, it’s extremely unlikely you’ll lose any data during the repair. Nope! Stop by anytime we’re open!
" They were super friendly and personable, knowledgeable and affordable (my favorite). They are many minutes and many miles out of my way but they've got a customer for life now. Thank you, gentlemen! I'm stoked to be up and running again. You're the best!" "Fixed my cracked phone quickly. Friendly and quick service. Highly recommended." "Had a spider web crack across my phone, came home with a phone that looks brand new. Will not go anywhere else. Andrew is fantastic and he was incredibly fast and professional." 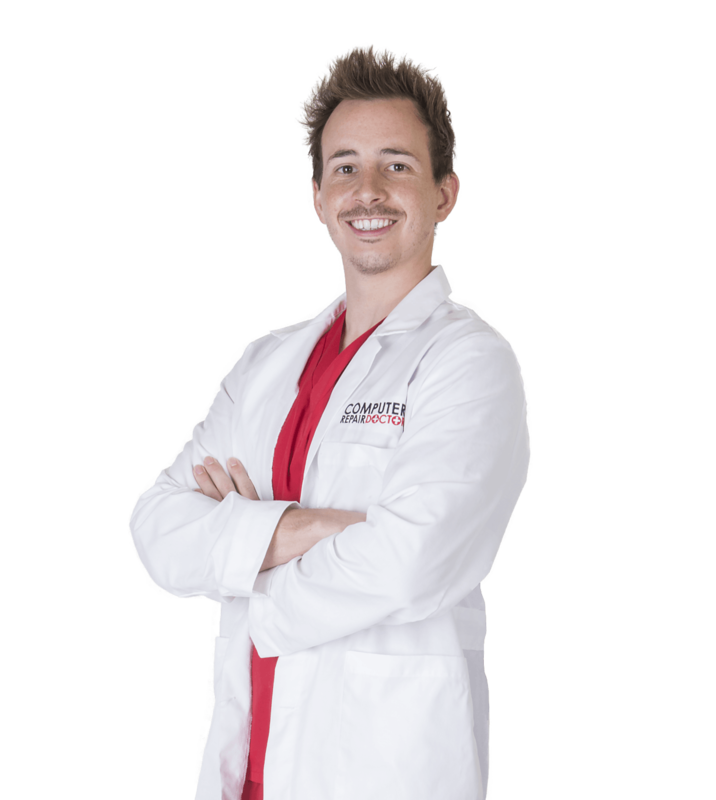 "Highly recommend to anyone looking to get their device fixed! Steven was great! My phone was fixed under 30 minutes! I would definitely go back if I run into any more issues!" "Awesome service!! Came in and got my screen fixed very quickly as well as a new screen protector and I couldn't be happier!! Definitely recommend!" Have question? Fill out a quote and we'll get back to you ASAP!